Tonight as I was out walking I was thinking of the upcoming election on Tuesday. As always we have a lot of Propositions on the ballot. I was thinking of Proposition 7 tonight as it may in the future allow California to do away with what we went through this weekend. So, what did we go through this weekend? The time change. 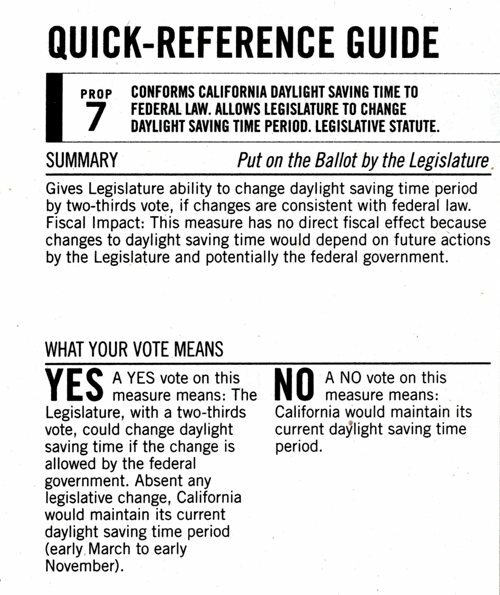 I was not sure what Prop 7 was all about, so I had to check it out in the Official Voter Information Guide earlier today. In fact, I checked out all 12 of the Propositions as I prepare for voting on Tuesday. Basically, this is a Proposition that give the power to change the law about daylight saving time back to the legislature. The current law requires that any changes have to come through a Proposition like this one. By putting this back in the hands of the legislature they can make changes if it is allowed by the federal government. 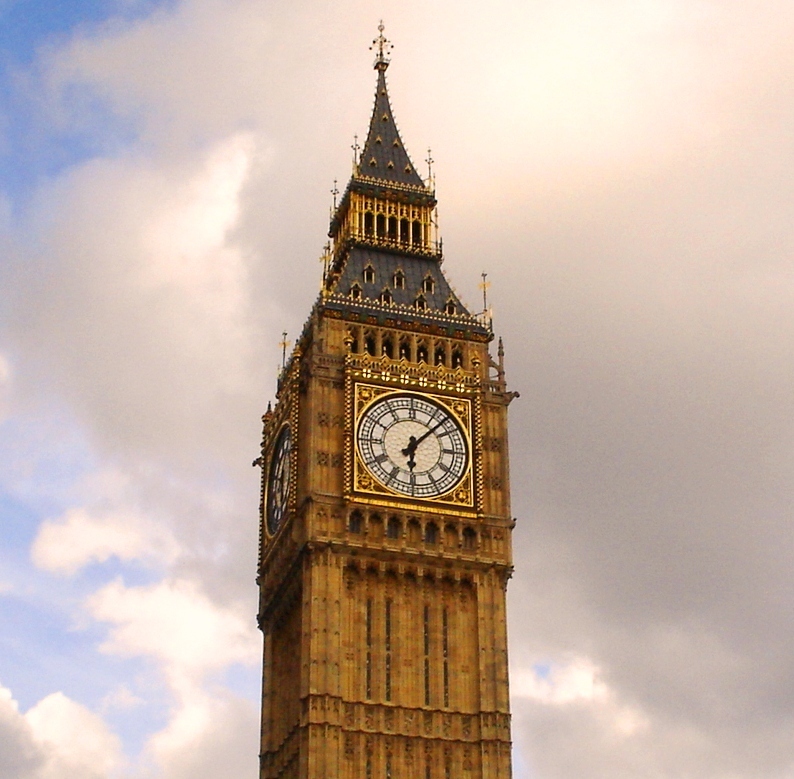 This Proposition does not do away with daylight saving time or make any changes to it. The only thing it does is to do away with an expensive and time consuming Proposition to make changes in the future. At least this was an easy Proposition to make a decision on how to vote. Did you get all your clocks set back today, or did you fall forward instead of back? 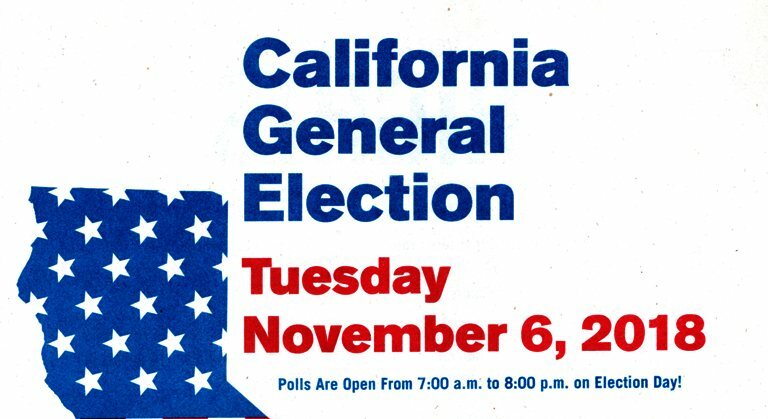 This entry was posted in California, Culture, Local, Seasons and tagged Ballot, Daylight Saving Time, propositions, Time Change, Voting. Bookmark the permalink.